Galloway and West Dumfries MSP Finlay Carson has welcomed calls from a senior SNP MSP that there should be major infrastructure upgrades in South West Scotland. The Scottish Conservative and Unionist MSP’s comments come after former SNP Cabinet Secretary for Infrastructure, Alex Neil MSP, said the full economic potential of the South of Scotland could not be unleashed unless there were major infrastructure upgrades, following questioning from Mr Carson. Mr Neil also described the A77 south of Ayr, towards Cairnryan and Stranraer as a disgrace and called for a long-term national infrastructure investment plan for the region, which would see upgrades for major trunk roads including the A77 and A75. Mr Carson says that current SNP Transport and Infrastructure Secretary Michael Matheson MSP should heed the calls from his predecessor and outline plans for major infrastructure upgrades across the region. Commenting Finlay Carson MSP said: “Alex Neil’s comments on the urgent need for infrastructure upgrades in the South of Scotland were hugely welcome. 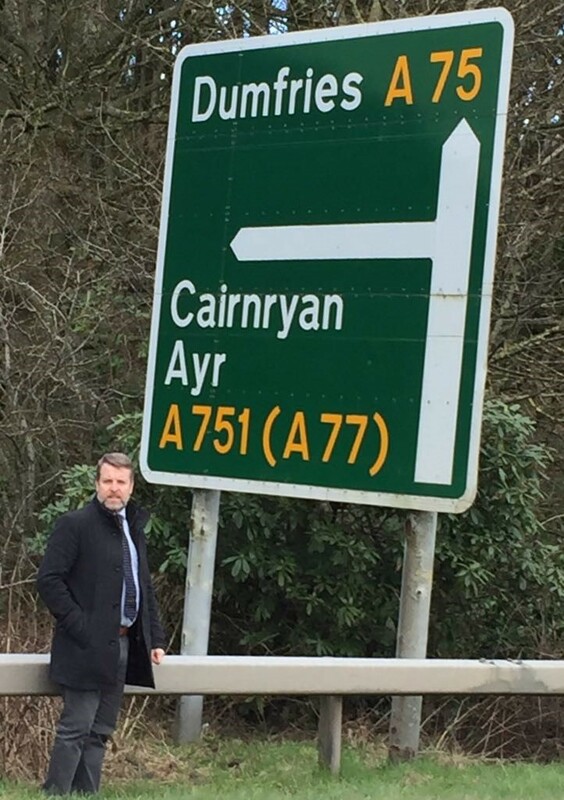 “Since my election in 2016, I have been calling for our major roads like the A77 and A75 to be majorly upgraded, especially given the importance of the port of Cairnryan to the local economy. “However, the SNP have prioritised spending on other roads across Scotland, which has been hugely frustrating, with these roads deteriorating further and further. “Alex Neil was quite right to say the A77 south of Ayr is a disgrace and to say that the full economic potential of the region cannot be unleashed without major infrastructure upgrades. “Since even before my election in 2016 my colleague Brian Whittle and I have shown support for A75 and A77 upgrades whereas the SNP took a while to come to the table and their support could be described as lukewarm.